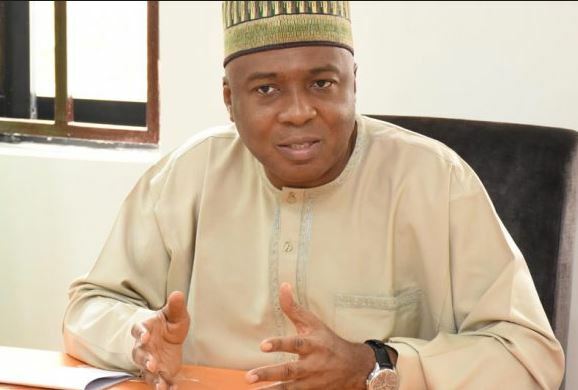 The Special Adviser to the Director-General, Abubakar Atiku Campaign Organisation, Dr. Doyin Okupe, has said the Senate President, Bukola Saraki, did not commission Ballard Partners to conduct a poll to access the chances of Atiku in the Saturday’s presidential poll. Okupe, who stated this in a statement on Wednesday, alleged that the All Progressive Congress issued a fake letter and also forged the signature of Brian Ballard. The former presidential spokesman said this was a clear indication that the APC was frantically looking for something to clutch on to at the moment. It will be recalled that a purported letter was written and addressed to Saraki by Brian Ballard of Ballard Partners on February 5, 2019. The letter contained the company’s assessment of the chances of Alhaji Atiku Abubakar in the Saturday presidential poll and described it as being very slim. He was emphatic that the resort of APC to alleged forgery actually shows the level of frustration and desperation of the ruling party. The former presidential spokesman, however, expressed confidence that Alhaji Atiku Abubakahad a very bright chance of being elected as president on Saturday. Meanwhile, the PDP stalwart has encouraged Nigerians to cast their votes for Atiku so as to get Nigeria working again. He also advised the electorate to conduct themselves peacefully on Saturday and make the election violent- free.